When I was asked to write a blog post about health as a priority, my first thought was “I’m going to feel like such a hypocrite writing this!” As a busy working mom over the last year, I’ve definitely put other things ahead of health. So, I took the opportunity as a little reminder from God to try harder in this area, because it is more important than ever since I need energy to do all the things us working moms do and at the same time set healthy habits for our family. I will share a few tips that I have found helpful and although I’m the first to admit that it is easy to fall off the wagon, it’s just as easy to get back on. Being a mom is no joke! I knew it would be a lot of work, but for the first eight months or so I was astounded at how CONSTANT the work of being a new mom was. I heard a story once about a study done where researchers took highly conditioned professional athletes and made them do the job of a mom for a day and the results came back that it was more physically demanding on them than their sport! So that tells me that us moms need to treat ourselves like athletes. We need to eat right and exercise as if our performance depends on it, because it does! When making health a priority in your life, do not neglect the importance of mental health as well. A baby with colic was unlike anything I’ve ever taken on. After three colicy months, I received my first priceless piece of advice: accept help from people. And if there’s not enough help, then hire help! I’m a savvy girl. I love saving money and being thrifty just as much as the next person. Plus, I think I can always multitask to get anything and everything done without bothering anyone else for help. Then I became a mom and realized my thinking was delusional. That old saying “it takes a village” is true! I have lots of helpful family and friends and a very supportive husband, but I needed more and I was told about an agency that a friend of a friend had used to hire an affordable nanny. So I sucked up my pride and researched further into it and it was one of the best decisions for mine and my husband’s mental health we have made. Even if you think it’s outside of your budget or that inviting someone into your home would be scary, it’s worth researching if you are overwhelmed like I was. The next tip is to make healthy decisions more convenient for yourself. Convenience is one of the biggest excuses to making poor eating choices that people use. Yes, it’s easy to grab a bag of chips or some other processed “energy” bar (more like energy zapper!) but if you don’t keep junk food in your cabinet and you do keep fresh fruits, vegetables and hummus in your fridge, then it is more convenient to choose the healthy option and make a good decision. I’m not big on will power: if it’s around and I’m busy and hungry, I will eat it. But I do have will power when I am grocery shopping and that’s when it counts. Make it inconvenient for yourself to eat unhealthy! Finally, it’s not only about what you eat. Rest, as well as exercise, are important factors just like healthy food choices. My attitude corresponds to my amount of exercise and my sleep. If I haven’t worked out in a week, I’m shorter with my husband, I’m less patient with my son and I tend to make worse food choices. Sleep is hugely important too. I remember those sleepless nights when Merrick was colicky, but even after his colic went away, it became clear to me that we are different people when we are not rested. Just like with the nanny, I was referred to a sleep trainer by a friend who had used one. Again, my first thought was that I should be able to figure this out without paying someone but again, I swallowed my pride and admitted I needed help. To my surprise, it was a very inexpensive process because it was possible to have a sleep trainer help you efficiently over the phone, email and text and never have to step foot in your home! And on the third night our little Merrick was sleeping 12 hours a night and napping twice a day! I always thought the topic of health was a very personal decision and that if someone has an unhealthy lifestyle that they were only hurting themselves. Through having a son, God has shown me that health is not only about yourself, it’s for those you’re closest to. Being able to do all of the work God created us daughters to carry out is only possible if we take care of the gift of our bodies that our God has given us. My name is Laura Horan. I am a mother to Merrick, our one year old replica of his Dad, my husband of 8 years, Sean Horan. I grew up in Kentucky and graduated from the University of Kentucky with a Bachelor’s degree in Interior Design. Three years into college, I came to San Diego on a summer vacation and ended up meeting my future husband. We dated long distance for two years from Kentucky to California. The day after I graduated, I gave all my belongings away except what would fit in a Honda Civic and drove it across the country to where I have called home for the last twelve years. I now work designing from home and get to enjoy all the sweetness of watching my little boy grow up. Have you ever read a book and were so inspired by certain characters in the story? You saw and were encouraged by how they responded when they experienced extremely difficult circumstances? As I have been studying the Passion Week of Jesus, He, of course, is the focal point of its importance in the life of a Christian. However, I also find myself amazed by the women who followed Jesus. What they must have experienced as they witnessed Jesus willingly walk through those days leading up to the cross! As they approached Jerusalem and the crowds waved palm branches, Mary, his mother, and the other women may have remembered the prophecy: “Rejoice greatly, O Daughter of Zion! Shout, Daughter of Jerusalem! See, your king comes to you, righteous and having salvation, gentle and riding on a donkey, on a colt, the foal of a donkey” (Zechariah 9:9). As a mom, Mary may have thought, “Finally, my son, is getting the praise and adoration He deserves.” But wait, Jesus is humbly entering the city, and she remembers His words warning that, “He must go to Jerusalem and suffer many things and that He must be killed and on the third day be raised to life” (Matthew 16:21). Oh, my Jesus! I wonder if she remembered the prophecy of Simeon when he blessed Jesus and said to her: “This child is destined to cause the falling and rising of many in Israel, and to be a sign that will be spoken against, so that the thoughts of many will be revealed. And a sword will pierce your own heart too” (Luke 2:33–34). A sword will pierce your own heart, Mary. I wonder if they worried when Jesus cleared the temple of the corrupt moneychangers and began to overturn tables—this caused great consternation to those who thought they were in charge. The next day Jesus came to Jerusalem where the religious leaders challenged his authority. They tried desperately to find a way to arrest Him. Jesus warned His disciples that the Passover was two days away and “the Son of Man will be handed over to be crucified” (Matthew 26:2). While in Bethany, a woman came “with an alabaster jar of very expensive perfume which she poured on Jesus’ head” (Matthew 26:7). Some of those present were indignant saying that this oil could have been sold for more than a year’s wages and given to the poor. They began to rebuke her very harshly. Oh, but listen, Jesus is speaking to them: “Leave her alone. Why are you bothering her? She has done a beautiful thing to me. She did what she could. She poured perfume on my body beforehand to prepare me for my burial. I tell you the truth, wherever the gospel is preached throughout the world, what she has done will also be told in memory of her” (Matthew 26:10–11). This unnamed woman appears to be the first of Christ’s followers to prepare Him for His impending death by humbly anointing Jesus with her precious oil. For this, Jesus praises her! She honored Jesus by her actions and was misunderstood. After this, Judas Iscariot left the house to negotiate his betrayal with the Sanhedrin. On Thursday, Jesus and His disciples shared the Passover together after Jesus lovingly and humbly served His disciples by washing their feet. He said, “I have been very eager to eat this Passover meal with you before my suffering begins. For I tell you now that I won’t eat this meal again until its meaning is fulfilled in the Kingdom of God” (Luke 22:15–16). After this Jesus went to the Garden of Gethsemane where He cried out to God the Father in agonizing prayer and yielded again to His will. Then Judas Iscariot betrayed Him with a kiss, and He was arrested. The Passover was just about to be fulfilled by the Lamb of God. Jesus endured false accusations, condemnation, mockery and beatings throughout the next hours. He was taken from one trial to the next, enduring ridicule and pain. After these unlawful trials, Jesus was condemned to death. He was abandoned by his disciples, including Peter, who denied Him three times. With a crown of thorns placed on His head, He carried His cross up the hill to Calvary and was nailed to it. He was crucified. Jesus’ body was placed in the tomb. The women also had prepared perfumes and spices to anoint His lifeless body, but they had to wait until the Sabbath was over. The long wait over the next 24 hours must have seemed endless for them. What were their thoughts as they waited on this most horrible day after Jesus died? Their tears must have mixed together as they cried over their excruciating loss. Were they praying to understand what this all meant, this nightmare they had just experienced? The grief they must have felt as they waited for Sunday morning so they could complete the burial process of Jesus! As Mary Magdalene, Mary the mother of James and Salome rushed to the tomb early at the break of dawn on Sunday morning, they worried how they would roll the stone away from the front of the tomb. How shocked they must have been to see that an angel of the Lord had rolled back the stone and “His appearance was like lightning, and His clothes were white as snow” (Matthew 28:3). These precious women stayed close to Jesus even when it was terrifying, when they did not understand what was going on and could have easily run away. It was their desire to lovingly minister to Jesus even after He had become their sacrificial lamb. Because of this, they were the first to know what He had said would happen was true. They were the first witnesses to the fact that He had risen! They were true to Jesus in the very worst circumstances ever. I pray their actions and faithfulness inspire us. Their strength and love astound me! When we cry out to Jesus and yield daily to His leading, I pray we will hear His voice call out our name and know He is with us every step of our journey. May we respond that we have seen the Lord in our lives and trust Him with all that we are. Christine Barker grew up in Montana. She attended Life Bible College in Los Angeles where she met her husband Lonnie. They served in pastoral ministry in Colorado and Missouri. He then joined the Air Force and ministered as an Air Force Chaplain for almost 24 years. When her husband passed away in 2009, she traveled for over two years living with her four children and their families who were in Massachusetts, Alabama, California and Washington. In 2012 she came to San Marcos where she enjoys being near family and serves as The Father’s House lead pastors’ assistant. Christine has 14 darling, wonderful grandchildren (#15 is on his way)! She continues to notice His blessings along the way! I have been asked to write about my journey with our beloved Cathey Anderson during her last days and what that experience has taught me. Nobody gets away from the teacher Mrs. Anderson without learning something, am I right?! To do this, however, I need to go back in time to 1998 when Cathey and I first met. Actually, Allen and I met Cathey’s husband Mark first at Forest Home during a summer Family Camp Estate Planning talk. We were living in Rancho Penasquitos at the time at the end of a cul-de-sac on a very suburban-sized lot. My husband traded some work on the Anderson’s home for Mark’s help with a Trust. Allen and I were happy campers living in Rancho Penasquitos: the kids had tons of friends and we had good neighbors. We were very content. But Allen would come back from having been to the Andersons’ home in Valley Center with this “hospitality on steroids” high. A few months passed and the “kingdom contagiousness” of the Anderson’s was all over us. God moved on our hearts and pretty soon we were opening escrow on three acres in Valley Center. Talk about feeling vulnerable in a new place! I had one name for all three spaces on the kid’s school emergency contact cards: Cathey Anderson. I hardly knew her, but that would soon change. She and Mark made sure of it. I found myself asking, “Who are these people that flow with such enthusiasm and life like the call of the sea to a sailor’s heart? Who could beckon others to “come and see” with such ease, causing them to do what they would not normally do otherwise?” Friends of Jesus, that’s who. When we arrived in Valley Center, Mark was there to unload our U-Haul and Cathey soon became the “other mother” to my oldest daughter. We joined a church plant in which they were involved and where we met most of our life’s greatest friends. We went through many hard times together including fires and deaths of students, as well as good times like Egg Day and Ag Day and Western Days. Cathey helped my kids birth pigs and raise chickens. She even grew grapes on the hillsides around her home. When it was time, we helped her prune, pick and stomp grapes to make our own wine. There was ever a dull moment with the Andersons. Our Life Group was there with Cathey during the diagnosis, diets and chemo drugs; the pain and Pic Lines and all the prodding; surgeries and sticks and suffering with the after-effects of it all. And yes, there were times of tears. We heard Cath tell of getting to the brink of hope and meeting the Holy Spirit in the depths of the dark night. We heard her in the pit of her physical pain. We heard her when she was brave, bare and raw. Mark was her pillar of strength, faithfully holding it together and they showed us how to live for Christ and die for Christ. I think the saddest words I ever heard her speak were, “the doctor says I will have this drain in my side for the rest of my life.” She was resigned to the will of God. She wanted to believe the prayers would heal her, and ultimately they did, but unto a better healing than just a physical one. Once she rounded that corner in her mind, once the reality of her “homegoing” set in, she resolved to show us how to die with dignity, the same dignity with which she lived. Don’t get me wrong: she was “fully human.” She struggled to understand a Lord who did not live up to her expectations, but she was Christ’s friend, so she prayed and read herself out of the pit that can be dug with the lie that God is somehow not good, is a withholding God, is one to pull the rug out from underneath us so we should doubt Him. She resigned herself to heaven, and then she lived fully to teach others that this mountain, Cathey’s Mountain, was one she would summit well. Once she wrapped her head around the trail Jesus was taking her on, she couldn’t wait for heaven. She showed us how to fight a good fight, but more than that, she was going to show us all how to end well. Joann Hummel told it best when she recounted a story that day we gathered to celebrate Cathey’s life. She was on a Freedom Climb with Cath, Kilimanjaro. Joann had gotten very sick. Cathey, seeing that Joann could not keep going, arranged for her to get off the mountain on the back of a pony. As she was descending, Joann turned around. Unbeknownst to her there was Cathey following behind that pony on foot, “making sure I got home” I believe were Joann’s words. I had the immense privilege to “make sure Cathey got home” her last night. It was not hard. Cath and Mark, and really, their whole family, had shown me how to do it, how to surrender as a friend of Jesus. It was easy to follow in their footsteps. I’m a wife of twenty-five years, married to Allen, my high school pen pal whom I met at Young Life camp in 1976. We were crowned king and queen that week but took 14 more years to make us man and wife. I’m Mamma to three of my greatest joys in life: my beautiful daughters Kelly, Karrie and Erin. I’m YaYa to equally beautiful joys: my grandbabies Hartleigh, Saila and Navy and the one-on-the-way, the mystery babe who is due on my birthday this year. I’m a nurse by career and calling for the last thirty-four years which makes me “seasoned” with many “smile lines.” Who am I? I am a lover, friend and child of God, and blessed to be a Daughter of The Father’s House. Growing up I never anticipated becoming a stepmom. The wretched, ugly stepmother depicted in most films, including cartoons, did not exactly win me over and cause my little heart to dream of the day when I too could make some innocent creature’s life miserable. While this may be the image that the world puts forth as a stepmom, this is not God’s picture. You see, while I may not have expected to become a stepmom, God did expect it and in fact planned it. When I was in high school I was at a camp service where the speaker told us to ask the Lord for a name for our future children. He said that names have profound meaning and can indicate God’s purposes for our kids. As he gave us time to pray I had a strong feeling that I would one day have a daughter who was not my own, but I would love her as if she were. In the weeks following this moment my heart raced with thoughts. Would I adopt a daughter from another country? Would I not be able to have children, and was this God’s way of preparing me? Isn’t it funny how the enemy sneaks in and tries to put fear and lies into the promises of God? Years went by, and I occasionally thought about this promise and wondered what would come of it. It wasn’t until I was dating Andrew and we were talking about getting married that this promise leapt to the forefront of my mind, and the Lord whispered to my heart reminding me of what He had told me so many years before. Little did I know that this promise would be in the form of a stepdaughter named Madeline. Looking back I have learned that God had an assignment for me to love his daughter Maddie through an incredible loss in her life. He is the God who redeems the broken and mends them through his love and grace, and He had chosen me to play a part in that mending. Whether or not God spoke to you about having children or a stepchild is not the point. God in his infinite wisdom knew the children that He would assign for you to steward. Whether they are your children or stepchildren, they have been entrusted into your care. It is from this stance that we are to parent our kids. It is from this stance that we find grace for the moments that are incredibly difficult to navigate. We must constantly pursue the Lord’s heart for our children and ask the Lord how He would have us handle each moment we have with them. Being a stepmom to this sweet child has been amazing and yet one of the most challenging experiences of my whole life. She brings a lot of joy into our family. I love seeing her and Lincoln play together; there is no one who can capture my son’s attention like she can. Yet within all these blessings there are also many difficulties with having a blended family. I wouldn’t say that Maddie is difficult. I would say that helping her navigate one of the most fragile places of her heart without taking it personally is one of my greatest challenges. As a stepmom you sit in the hot seat. I was not a part of the decision that brought about her parents’ separation, but a lot of the frustrations of that separation get aimed at me simply because I am not her mom. When Andrew and I were engaged someone gave me a book called The Smart Stepmom. This was one of the best gifts someone could have given me. It helped me peek into a world that would soon be mine. The author talked about perspective and that as a stepmom I would have to learn how to remove myself from taking personally emotions and attitudes rooted in frustrations about her parents’ divorce. Do I do this perfectly? Absolutely not! I take things personally all the time, but this gives me the boundaries that are necessary to collect myself and move forward with love and purpose. I can require respect and at the same time know when to let go and defer to Andrew. Now does this mean that all friction between Maddie and myself is not my problem but hers? This could not be farther from the truth. Many times friction comes because of my lack of patience or my bad attitude. Let’s face it, ladies: as moms we are not perfect. But what I have learned is that my attitude sets the tone of the home. What I mean by this is that if Mom is happy, the rest of the household generally follows suit, and if she is not, watch the storm begin to brew. As a stepmom to Maddie, I am the hinge point that either makes room for her within our home or creates division and causes her to feel out of place. As mothers we must daily submit our emotions, thoughts and attitudes to the lordship of Jesus Christ. It is only from this place that we can love selflessly and create an environment for our little ones to flourish. Being a stepmom can be difficult, but I know that the Lord is using this seat to refine me to look more like Him. I pray that you find strength in knowing that God has assigned you the children in your home for a purpose. You are meant to help them find victory and wholeness in Christ. Whether they are your biological children or stepchildren it is our assignment to lead them to Him as the author of their salvation. God has a story of redemption written out for your family as well. Grab onto it and believe that the Lord can redeem all things no matter how tangled they may seem. Set your eyes on Jesus and allow Him access to your heart. And as He does a redeeming work in you He will work through you in the lives of your children. If you are a mom/stepmom who feels discouraged or hopeless, set your eyes on Him, the Author of Hope. He has a great plan of redemption to play out in your life. If you are a stepmom, I would like to propose that you begin to see yourself as a tool in the hand of the Lord to bring healing and wholeness to the heart of your stepchild. Let us as the church begin to redefine what the world says should be and declare the promises of God to redeem these sweet children in our lives. 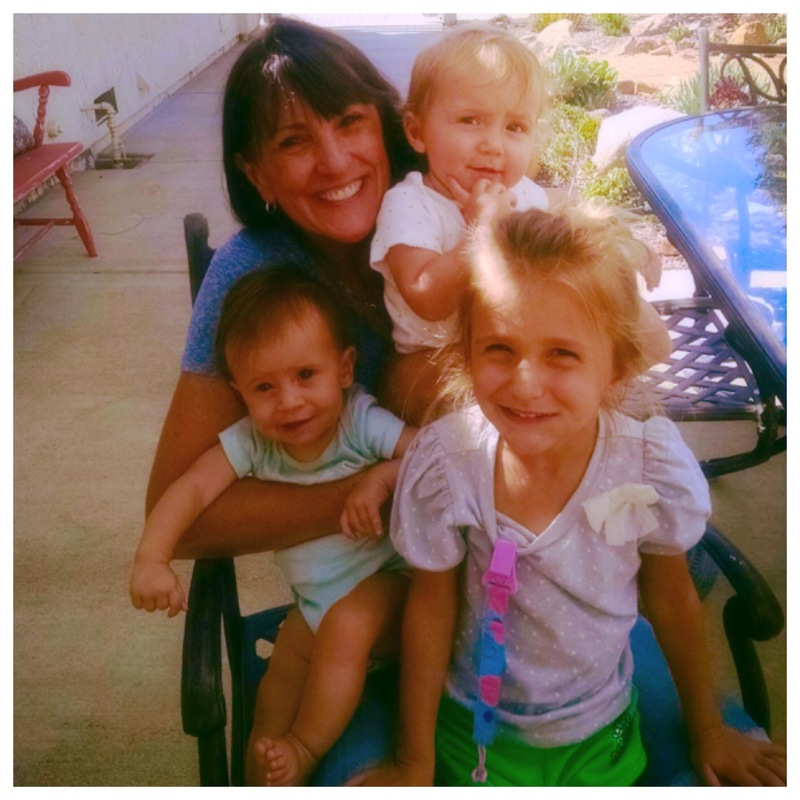 After graduating from Life Pacific College with her BA in Biblical Studies and Early Childhood Education, Nicole Henneforth came on staff at The Fathers House as the Children’s Pastor. Nicole and her husband Andrew are currently assisting pastors and have been serving the church for the past six years. Andrew and Nicole have been married for four years and have three children, Madeline, age 8, Lincoln, age 3, and Isla, who is 8 months old. I am a work in progress. I am an encourager. I love fiercely. I smile almost always, no matter how I am feeling. When my heart hurts, it’s rare that I let you see that side of me. Maybe I’m afraid you will think less of me or not understand me? For there have been many times throughout my life when I have felt I was being judged unfairly. After working at a local elementary school for over seven years, I transitioned into a new part-time position at a different school. I feel like I have adapted with the change of each administration over the years. Never once did I receive a complaint or have a performance review that was less than satisfactory, until last year. To my surprise, my supervisor and co-workers rated me very poorly in almost every area. Really? How could they possible perceive me and my job performance in such a negative and harsh way? I had been certain things had been going very well, especially since there was never any indication to think otherwise! They couldn’t find one positive thing to say! Are you kidding me? I told myself that obviously, they didn’t know me at all! But at that moment, I don’t think I ever felt more misunderstood and unappreciated. My heart felt like it had been ripped right out of my chest. Was I being judged for someone else’s short comings? Obviously, these people didn’t really know me or my heart. I felt defensive, deeply hurt and extremely resentful. They needed to see the real me, but I didn’t know how to show them. So I put on a brave face at work and tried not to show how I was really feeling. I continued to greet co-workers cheerfully and as always looked for something positive to say. God is always faithful. All I need to do is call upon Him and lay at the feet of Jesus. God has called me to be His servant and to show the light of Christ through me. If you look for something negative in a person, you will always find it. Only God is perfect. God has shown me his mercy and grace and has healed my broken heart. He has taught me that I am resilient. God is always on my side. I have allowed others to judge me and to think less of me. I am no longer a slave. God has rescued me. He has shown me that I can be His vessel to shine truth, light and love by speaking life into others. I may be misunderstood by the world but I am a child of God. God is mine and I am his. I am a work in progress. Stefi Burkhard was born and raised in St. Louis, MO and grew up Jewish. After graduating college she worked several jobs before becoming a Technical Recruiter in Phoenix where she met her husband, Dave. They quickly became best friends and soon engaged. They joined the Church of Jesus Christ of Latter Day Saints (LDS) and were married by a Mormon bishop in a sealed ceremony at the Arizona temple a year later. They have been married for 29 years and have three grown children. They converted to Christianity over 20 years ago and have served the Lord faithfully ever since. Today Stefi spends her time working with special needs children at Alvin Dunn Elementary School. She loves shopping, traveling and spending time with family.